Basic Brewing Video" is the video sibling of Basic Brewing Radio". On the video side, we hope to be a little more adventurous and a little less technical than the audio side. 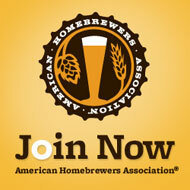 We hope to be thinking a bit "out of the brewpot" when looking at our favorite hobby. From brewing various styles to preparing food to go with them, we'll come up with some tasty items to enjoy. New to podcasting? Check out our guide .